Asthma is a condition related to airways and the lungs. In this disease, the airways or upper respiratory tract narrow down making it difficult to breathe. This is also called bronchial asthma. Allergic asthma: Exposure to trigger factors like smoke, allergens, dust, fur, cold air, perfume triggers asthma attacks. Non-allergic asthma: It is triggered by factors inside the body such as bacterial or viral infection, consumption of painkillers, physical or emotional stress. Individuals suffering from asthma have an immune system that is ready to overreact. On exposure to certain triggers the mucous membrane, lining the airways, tends to get inflamed and initiates an intense reaction. The mucous membranes are red and swollen and the membrane starts secreting thick mucus. Also, the muscles around the airways begin to tighten. Together these factors cause the airways to constrict leading to shortness of breath and asthma attack. Two types of medications are prescribed: long-acting controller medications and short-acting reliever medications. Controller medications are used to daily to control inflammation of the airway. Short-acting reliever medications are used in case of sudden attacks. Asthma is a chronic condition, but onset and prevalence differs in every individual. Those who have symptoms as children and teenagers generally don’t have symptoms as adults. However chronic asthma can be managed. 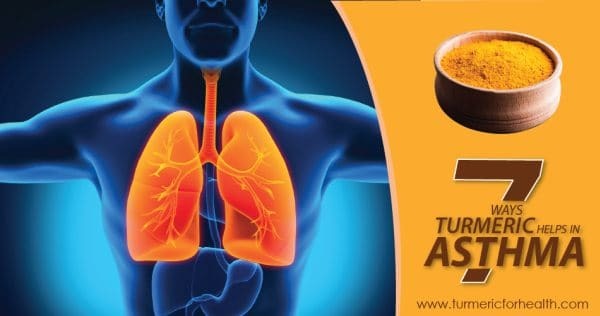 How Does Turmeric Benefit in Asthma? 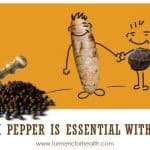 Turmeric finds its use in asthma primarily due to its anti-inflammatory and anti-asthmatic property. Curcumin and other bioactive compounds present in turmeric can help relieve the inflammation and reduce the mucus secretions in the airways. Leukotriene is an inflammatory chemical produced by immune cells in case of allergic or inflammatory response. A clinical trial was conducted where individuals with bronchial asthma received capsules containing Boswellia serrata, turmeric root, and licorice root extract. These compounds were chosen as natural leukotriene inhibitors, anti-inflammatory agents and antioxidants. They received either treatment capsules or placebo 3 times a day for 4 weeks. A significant decrease in enzymes causing oxidative stress and leukotriene was observed in the treatment group compared to the placebo group. Abidi et. al conducted a clinical trial to study the efficacy of curcumin as add-on therapy in bronchial asthma. 77 patients enrolled in the study. One group received standard therapy while other group received standard therapy and 500mg of curcumin twice a day for 30 days. Curcumin treatment showed improvement in airway obstruction evidenced by improved breathing capacity. No side effects were reported and researchers concluded that curcumin treatment is effective as an add-on therapy for bronchial asthma. Nasal curcumin drops demonstrate anti-asthmatic potential by reducing constriction of the airways and inflammation. Even oral curcumin is found to inhibit the constriction of airways in asthma. A study reports that curcumin’s anti-asthmatic property at low doses is better than disodium cromoglycate, a standard drug used in asthma treatment. Curcumin nanoparticles and other bioavailable forms show potential in treatment of asthma by reducing immune reactions and inflammation. Clinical trials show that curcumin is an effective add- on therapy in bronchial asthma. Curcumin nasal drops show better anti-asthmatic potential than standard anti-asthma drug, disodium cromoglycate. Animal study shows that curcumin treatment reduces inflammation of thickening of mucosal lining in the airways in asthma. Research demonstrates that a particular pathway named Notch-GATA signaling pathway contributes to airway inflammation in asthma. Curcumin prevents and reduces the inflammation in asthma by inhibiting the activity of this pathway and suppressing the activity of nuclear factor kappa B- the master protein that regulates inflammation. These findings are confirmed by another study where inhibition of nuclear factor kappa B led to a reduced accumulation of immune cells and inflammatory cells in asthmatic lung tissue. Another mechanism by which curcumin attenuates airway inflammation is by balancing the activity of immune cells called T helper cells and preventing hypersensitive reactions in the airways. Curcumin manipulates other biochemical targets involved in inflammation in order to reduce airway inflammation in asthma. Curcumin prevents thickening of airway lining by preventing the proliferation of smooth muscle cells located in the passage. Derivatives of curcumin also exert anti-inflammatory activity in asthma. Curcumin’s anti-inflammatory activity can reduce bronchial inflammation in asthma. In asthma, the inflammation in the airways leads to increased production of nitric oxide. FeNO exhalation gives a measure of the extent of inflammation in the airways in asthma. Curcumin’s antioxidant nature is found to be beneficial in the treatment of asthma. A clinical trial was conducted wherein children suffering from asthma were treated with a nutritional supplement along with standard asthma treatment. This supplement contained antioxidants and anti-inflammatory agents and one of them was curcumin. A fall in exhaled FeNO levels was observed in the treated group which indicated a reduction in inflammation. 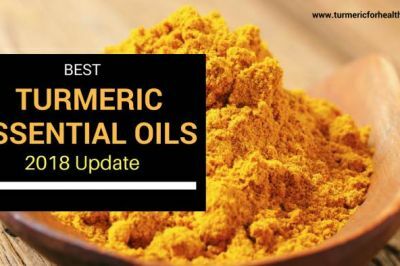 Turmeric and pepper extracts are proposed to be viable alternative anti-asthmatic agents as they serve as antioxidants and scavenge nitric oxide that causes inflammation. Curcumin’s antioxidant nature helps in scavenging nitric oxide that mediates inflammation and oxidative damage in asthma. Subhasini et. al have reported that curcumin, when administered as nasal drops, reduces allergen induced airway inflammation, ameliorates constriction of airways and reduces mucus production. Further findings reveal that curcumin prevents accumulation of inflammatory cells in the airways, prevents sloughing off the mucosal lining of the airway, prevents thickening of smooth muscle cells in the airway and reduces mucus secretion in chronic asthma. In an animal model, curcumin is found to ameliorate allergic asthma. However, a human study reports that 1000mg of curcumin taken twice daily leads to no improvement in allergic asthma. Curcumin’s anti-allergic property reduces allergen induced asthma and ameliorates mucus production and constriction of airways in allergic asthma. Curcumin has a broad spectrum anti-microbial activity- it acts against bacteria, virus, and fungi. Topical curcumin is found to effective in inhibiting the growth of bacteria involved in upper respiratory tract infection. Both black pepper extract and turmeric extract are found to have an anti-bacterial effect of various bacterial strains that cause upper respiratory tract infection in comparison to standard antibiotics. Researchers suggest that these anti-asthmatic plants can reduce infections that cause asthma attacks. Oral fungal infection is a side effect of standard asthma treatment. Animal study shows that curcumin treatment can relieve oral Candida infection equipotent as steroidal medications. Curcumin also potentiates the action of steroids against oral candidasis. Curcumin’s anti-microbial property is as effective as antibiotics and steroids in reducing respiratory bacterial infections that could initiate asthma attack. 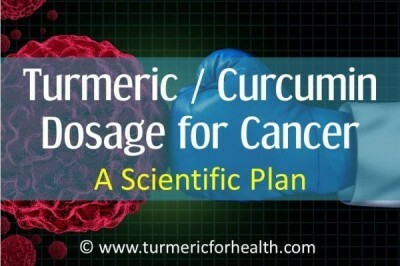 Curcumin has an immunomodulatory property: it can alter immune responses. 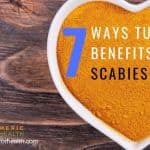 It can reduce the activity of immune cells, reduce production of inflammatory chemicals and even can stimulate immune responses in case of infections. Curcumin exerts immunomodulatory action in asthma by inhibiting release of histamine by mast cells. Mast cells participate in allergic reactions and aggravate allergy by releasing histamine. In the animal model of allergic asthma, curcumin is found exert immunomodulatory effect and reduce damage to the airways better than steroid medication, dexamethasone. Allergic reactions occur when immune cells show an overactive immune response. 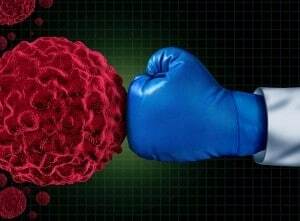 T helper cells are type of immune cells that participate in an allergic reaction and secrete inflammatory chemicals as well as other biological molecules that produce allergic symptoms like redness, swelling, itching etc. 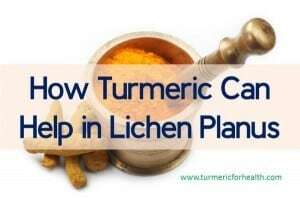 In an animal model of allergy, turmeric was found to exert anti-allergic property by maintaining a balance of T helper cells, suppressing immune reactions and reducing production of inflammatory chemicals and antibodies. Curcumin is found to reduce allergic reactions upon exposure to allergens. Asthma can occur as a result of hypersensitive reactions of the immune system. Curcumin has immunomodulating activity (ability to regulate immune responses) similar to that of steroidal medications which can aid in treatment of asthma. Curcumin, by its anti-inflammatory and antioxidant property, finds its use in various lung diseases like lung fibrosis, lung injury by radiation, chemotherapy and toxicants, acute lung injury, allergic asthma, and even chronic obstructive pulmonary distress syndrome. Both COPD and asthma are characterised by airway obstruction and can present similar symptoms like breathlessness. Histone deacetylase is an enzyme that mediates the anti-inflammatory action of steroids. Its function is impaired in COPD due to which individuals suffering from COPD develop steroid resistance. Research shows that curcumin treatment can reverse steroid resistance in COPD and asthma. Turmeric oil is found to relieve sputum and cough in asthma. Turmeric is effective in treating various respiratory or lung related disorders. It can relieve cough and sputum occurring in asthma. Asthma like symptoms could occur in chronic obstructive pulmonary disorder (COPD). Turmeric is effective as an add-on therapy in COPD and can also reverse steroidal resistance n asthma and COPD. Turmeric can be used to treat symptoms of asthma in various ways. Relieving congestion of bronchi: To relieve blocked bronchi turmeric has to be taken with salt mixed in hot water. 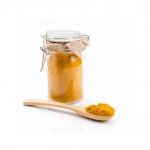 Licking one teaspoon of turmeric along with ½ tsp of honey also offers relief from the congestion of bronchi. Eliminate phlegm: Mix turmeric powder, banana ash and barley powder in equal proportions along with honey. Have this paste four to five times in a day to get rid of phlegm. 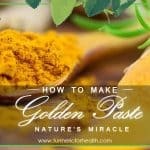 Relieve irritation of bronchioles: Mix turmeric powder, ghee and black pepper powder to make a paste. Massage the chest and throat region using the paste to reduce irritation of the bronchioles. Burn turmeric till red hot and inhale the smoke. The smoke serves as a strong expectorant. Breathing problem commonly observed in asthma patients can be relieved by taking turmeric that is partially roasted and later ground using hot water. 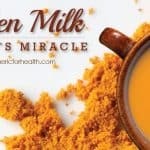 Boil a small piece of turmeric in milk. Now, sweeten the milk with jaggery and have it to obtain relief from asthma. Intake of 1/4tsp of turmeric along with a small glass of hot water helps prevent asthma attacks. Asthmatic bouts are a difficult period, especially if they occur very frequently. Turmeric can be effectively used for the same. Take 3 gms of turmeric powder and mix it with powder of 7 grains of black pepper. Mix this with pure mustard oil. The patient should lick this paste in the morning. Grind ~110 grams of Calotropis (also known as milkweed) and ~55 grams of turmeric. Use approx. Add 110 grams of any bitter oil in the mixture and then cook it till watery portion vanishes and only oil remains. Bring down the vessel and then let it cool. Strain the oil using a clean cloth and store the oil. This all has to applied to back, chest, belly and front throat through sprinkling it and through fomentation also. Should avoid consuming food such as jaggery, curd, black gram etc. Note: In case of an asthma attack, please consult your doctor asap. If you suffer frequently from upper respiratory tract infections then it is highly recommended to store turmeric at home. To retain the medicinal value of the herb and to prevent mold infestations it has to be stored appropriately. 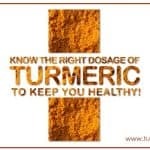 Consider purchasing turmeric from herbal stores renowned for offering genuine herbs. As mistaken by many colors of turmeric is not an indicator for quality of the herb. 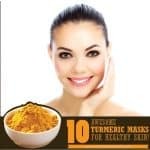 If genuine turmeric powder cannot be found in the local stores then make turmeric powder from fresh roots by boiling, drying and grinding the dried roots. If you can get organic turmeric, that will be best. 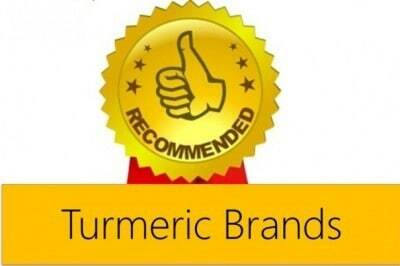 Here are some tips to choose good quality turmeric powder. Store turmeric powder in sealed tins and place them in dry, dark and cool place. Store the fresh root in the refrigerator. Since turmeric is known to mildly increase bleeding risk, it is advisable to discontinue supplements 2 weeks prior to surgery. 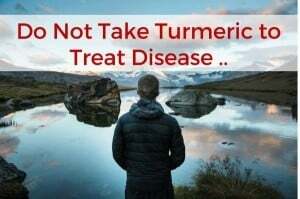 Avoid turmeric supplements if you suffer from gallbladder issues. 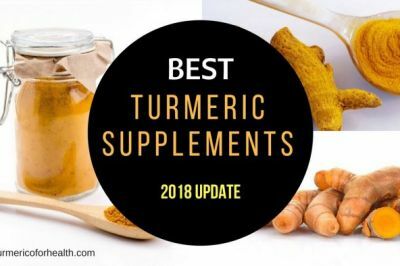 Turmeric supplements could have possible drug interactions with diabetes medication, blood thinning medications, stomach acid-lowering medicines, and certain antidepressants. Treatment of chronic asthma includes long-term therapy of medications like Inhaled corticosteroids (prevents swelling or inflammation), Cremolyn (prevents airway inflammation) and Omalizumab (reduces effects of allergic response). The common side-effects caused by these medications are mouth infections, cataracts (clouding in the eye lens), osteoporosis (bone degradation) and anaphylaxis (life-threatening allergic reaction). Curcumin is a phytochemical (color chemicals that occur naturally in plants) which is the primary bioactive constituent found in Turmeric or rhizome of Curcuma longa. It has a variety of potent pharmacological activities which include anti-inflammatory, anti-oxidant, anti-microbial, anti-allergic and anti-asthmatic properties. A study was conducted to evaluate the effects of intranasal curcumin (curcumin administered through the nose) in chronic asthma using an animal model. The study involved developing an animal model of chronic asthma where the allergen used was ovalbumin (a major protein constituent in egg which is immunogenic and produces an immune response). The mice were then administered intranasal curcumin of dosage 5 milligrams per kilogram from 21 to 55 days, an hour prior to exposure to an allergen. Upon administering intranasal curcumin, it was observed that accumulation of inflammatory cells, IgE, EPO and interleukin-4 and 5 (inflammatory agents) levels were found to be suppressed in the bronchoalveolar lavage fluid or BALF (it is a liquid which is used in a clinical procedure to diagnose infections in the lungs). 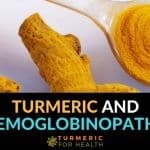 Curcumin prevented the gathering of a large number of inflammatory cells in the airways, prevented thickening in the smooth muscles of the airways, shedding off of the epithelial cell (cells that defend against contaminants) linings and production of mucus in response to allergen in the animal model of chronic asthma. Asthma being a chronic disorder requires a long-term therapy of medications which cause side-effects. Hence, there is a requirement of drugs which are non-steroidal in nature and can be taken without any complicating side-effects. 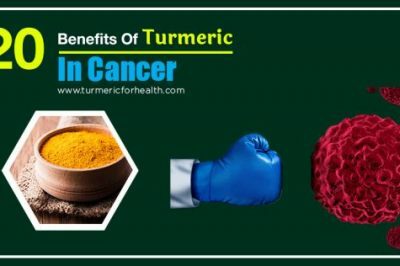 Curcumin is a bioactive component present in turmeric or Curcuma longa, which is a known anti-inflammatory molecule with a wide variety of potent properties which includes anti-oxidant and anti-allergic etc. These properties were found to be effective in this study of chronic asthma using an animal model to characterize the alterations in the structure and remodeling of the airways. 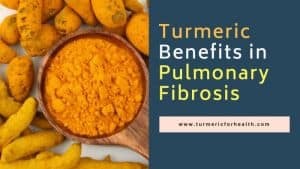 Recent studies have also proved that curcumin has the ability to cause reduction of TH2 responses (a type of immune cell) and reduce inflammation in the lungs of the mice. Thus, curcumin plays a significant role in controlling allergic disorders. In this study, it was observed that curcumin administered through the nasal pathway was effective in reducing the bronchoconstriction (constriction of the airways due to tightening of the surrounding muscles) and inflammation in the lungs. The activated mast cells along with the eosinophils play a key role in asthma by contributing to pulmonary (lung) inflammation and producing a large number of inflammatory mediators like cytokines and chemokines. Curcumin is found to be effective in blocking these inflammatory mediators from binding to the cells in the airways which lead to inhibition of antigen (contaminant) induced inflammation of the airways. Eosinophil (white blood cells) causes airway inflammation, increases EPO (eosinophil peroxidase) levels in allergic conditions and is also an inflammatory marker of eosinophil recruitment. Intranasal administration of curcumin was effective in reducing the features of asthma by inhibiting the eosinophil recruitment, decreasing EPO levels and therefore reducing the infiltration of inflammatory cells in the BALF. Curcumin is also helpful in inhibiting the release of histamine by the mast cells at the tissue site. Compared to the adverse effects of the long-term medications, curcumin has no toxic effects which were found in liver and kidney tests. Curcumin is proved to be effective in reducing and suppressing the complications caused by chronic asthma disorder at lower doses. Intranasal administration of curcumin is a potential anti-asthma medication for long-term therapy without any harmful side-effects. We can expect pharmaceuticals to develop curcumin nasal drops for asthma in the near future. A research published in the Journal of Clinical and Diagnostic Research aimed at determining the potential of curcumin to serve as an anti-asthmatic remedy. Curcumin is a polyphenolic compound obtained from the gold-colored Indian spice, Turmeric. Its anti-inflammatory, anti-tumor and anti-oxidant properties make it a potent remedy for a large number of diseases. The research comprised of 77 patients divided into 2 groups. The first group was given standard anti-asthmatic treatment and the other group took the standard treatment along with capsules of Curcumin. Changes in clinical symptoms. For e.g. wheezing, cough, chest tightening etc. Desirable improvements in FEV1 values and hematological tests were found in the curcumin group. There was a definitive improvement in lung function in the group taking curcumin thanks to its anti-inflammatory effect. 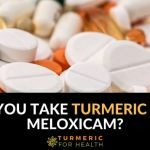 In addition to this, the curcumin group showed a lesser number of side effects as compared to the group which received only the standard treatment. The researches concluded that curcumin because of its anti-inflammatory effects can be used as as a “safe” and “effective” add-on therapy for bronchial asthma. Bronchial asthma is a chronic disease against which no safe and permanent cure has so far been found despite various advancements in medicinal research techniques. 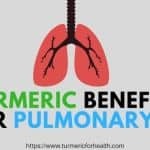 This research indicates that curcumin improves lung condition and helps by dilating and reducing inflammation of air passages in our respiratory system with fewer side effects as compared to the standard treatment alone. Turmeric’s anti-asthmatic, anti-inflammatory properties and its efficacy in treating lung disorders makes it an effective complementary therapy for managing asthma. Research suggests that curcumin nasal drops can be a potential anti-asthmatic agent in the near future as data from animal studies suggests that it performs better than steroids and anti-asthmatic drugs. Can turmeric help relieve a) Constipation and b) Essential Tremors? Turmeric can help improve digestion. Since it is a neuroprotective agent (protects brain and nervous system health) it may aid in the treatment of essential tremors. Hi. If opting for supplements, please start with small dose as you mentioned 150mg but you may need to increase gradually to a dose of 500mg-1000mg daily. It is best to consult a herbalist about this. Opt for standardized 95% curcumin + bioperine supplements. 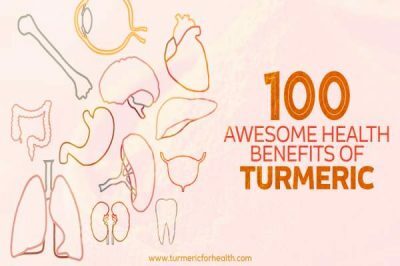 Where can I purchase turmeric/curcumin nasal spray?